First, if you already made some changes to resources in CLI, revert them or re-flash your flight controller. 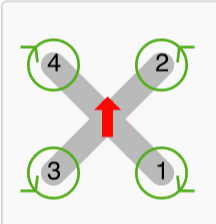 Depending on your board, select the quadcopter type with same amount of motors as yours. Last part with the DMA... tells us, which MOTOR outputs can be used for DSHOT. For my F3 EVO it's motor output 1,2,3,5,7 and 8. My board had pins 1 and 2 broken, so I had to use 3,5,7 and 8. 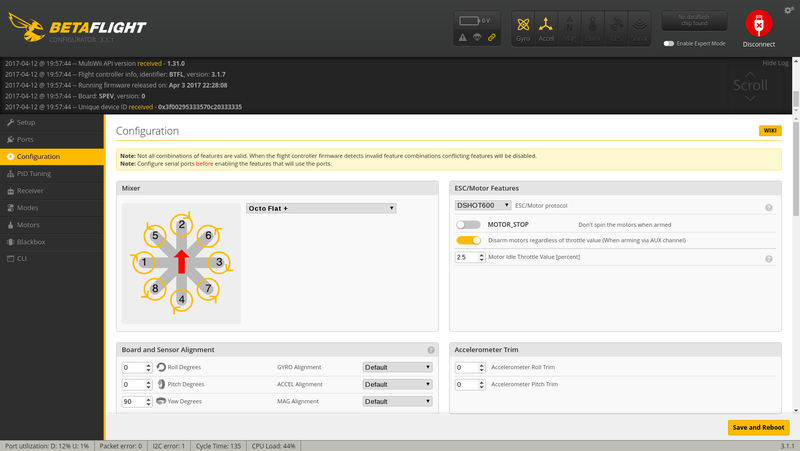 Easiest way to map all motors correctly is to first free our DMA capable outputs (3,5,7 and 8). Following image shows default motor numbering for betaflight. Let's start with MOTOR 1. Check to which pin is this motor soldered to. If you soldered that motor to ouput number 7, you have to go back to your notepad and look for the first part of the output for the MOTOR 7 - I know, this is little bit confusing. In this case we're looking for the last code - B00 which is identifier of the output 7. Repeat this for all 4 motors and then enter save, reboot the board and you're all set! What actually is this MOTOR all about? Also share the basic introduction of about this, because this is something new to me. Thank you.